Monday evening, June 4, crews will change access for north to south travel on Sheyenne Street under the Interstate 94 (I-94) bridges. 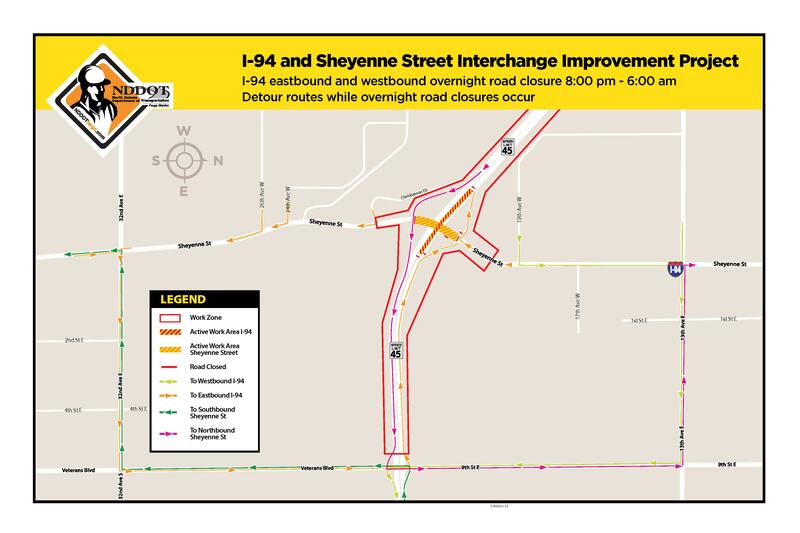 From 8 p.m. – 6 a.m. on Monday, Sheyenne Street will be closed to all traffic underneath the I-94 bridges for one evening. Crews will complete the installation of the last storm sewer pipe across Sheyenne Street. By the morning rush hour on Tuesday, both directions of Sheyenne Street underneath the I-94 bridges will open to drivers. Westbound drivers wishing to exit Sheyenne Street will be carried in a half mile lane on the west side. The entrance to this exit will be just west of 9th St E/Veteran Blvd exit where westbound traffic crosses over to the east side. 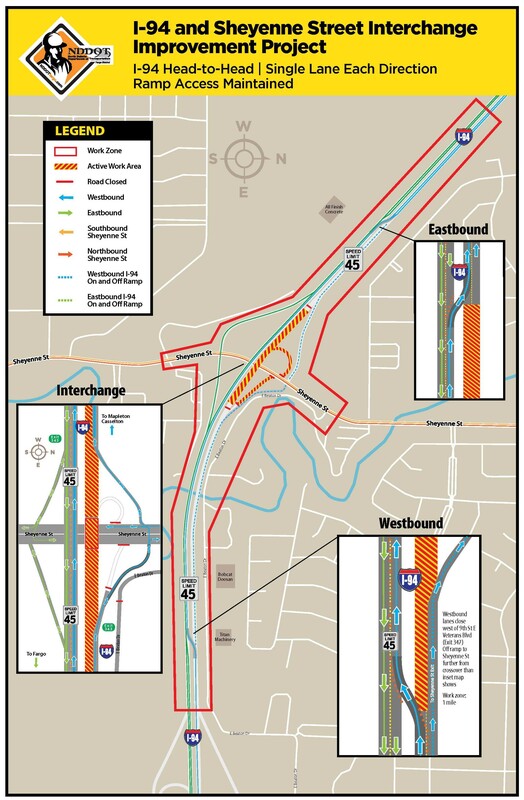 A temporary northeast exit-ramp will be used to travel northbound on Sheyenne Street. The existing ramp will begin to be reconstructed.